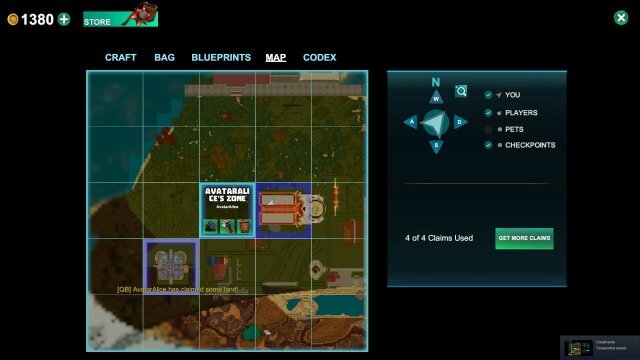 This guide is used to give any and all general info about claims, world settings affecting claims and general permissions in claims. Current to R55. 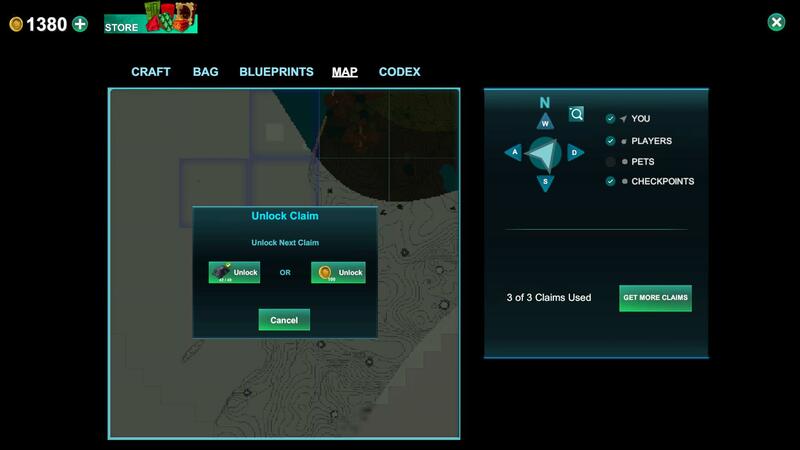 Claims are the most important tool added into the game. 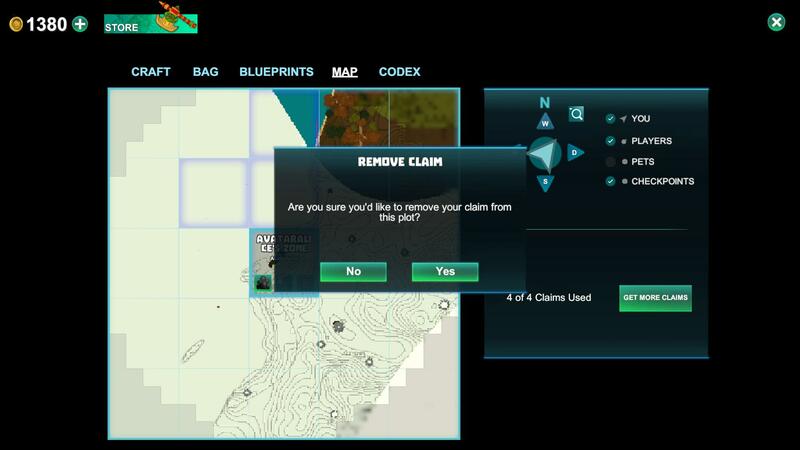 They allow you to protect a 64x64 plot of land and give out permissions to certain players and enable or disable certain settings within that claim. I shall be going in depth on every detail about a claim including granting permmissions and what each one does. Depending on your world if you are in someone's public world follow their rules and make sure you claim however far away they want. When in the map just click on a space you wish and if you have PRO you can automatically claim 2 spaces if not the cost will be 20 coal. The claim prices follow as so; 20 coal, 40 obsidian bars, 80 Iron bars, 160 diamond bars, 320 lumite bars, and 320 arcstones x4. Should give a total of 10 claims unless you are PRO then 12, the rest you buy with coins which you buy from the store with irl currency. You get up to 40 total claims on your account. If you buy with coins the resource cost goes up to the next one so if you buy the coal required to get but you use coins it will move up to the obsidian bar one. 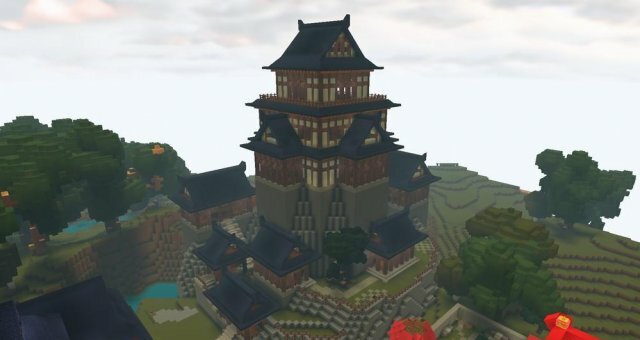 If you are set to visitor for the world you cannot claim and will have to ask an admin or the owner to promote you to builder. The three people icon allows you to select a player to give them either visitor, interact, builder or admin of that single claim. Remember to be selective of who you give permissions to on public worlds some can be troll's set out to ruin someones day. Note if you set Default claims permissions everyone on the world gets that exact permission best to leave that at visitor unless you have a good reason. Visitor: Player cannot do anything but open doors and mess with basic things like turn your lights off unless you lock every light. They cannot build or look into your chests at all. Interact Only: You can set chests to claim interact so specific players can get into chests otherwise I hardly use this setting to even give proper information on it. 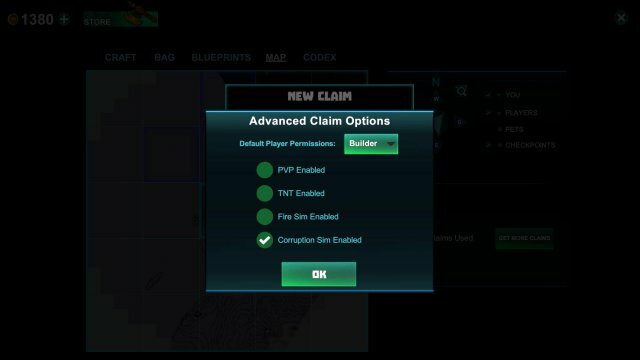 Builder: They can build on your claim and see into chests you placed down and didnt set up permissions to. Chests default to builder rights when placed. They also have access to any teleporters and things not locked to admin and up. Admin: They have rights into chests that are not locked to you and are able to interact with anything locked to just admins and below. And can build on your claim. 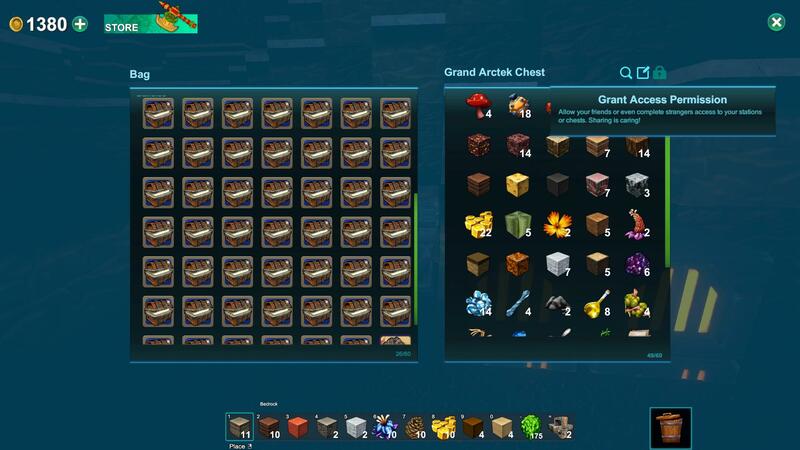 World Admins and Owners have the ability to see into your chests, teleporters, machines and pets. But if you have a kind owner and trustworthy admins they likely wont steal from you. The hammer icon allows you to go into the claim settings and change the default permissions, firespread, corruption spread, if you can pvp and if you can tnt on that claim. The system usually alerts you to haveing to change the tnt setting if its disabled. 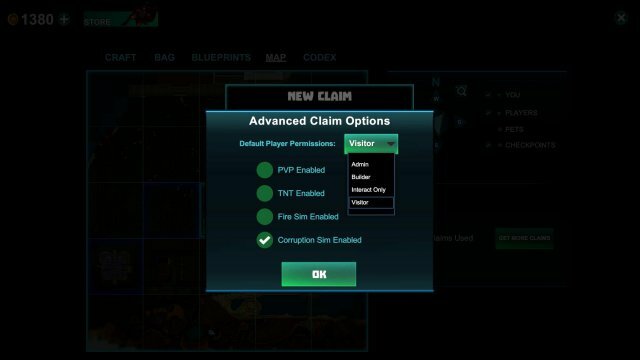 Pvp disabled in a claim will override the worlds pvp setting same with the tnt so if a world has pvp enabled you can claim to keep a save haven. The only known setting I can think of that doesnt worl is corruption spread, if the world has that setting off it doesnt work on claims either. 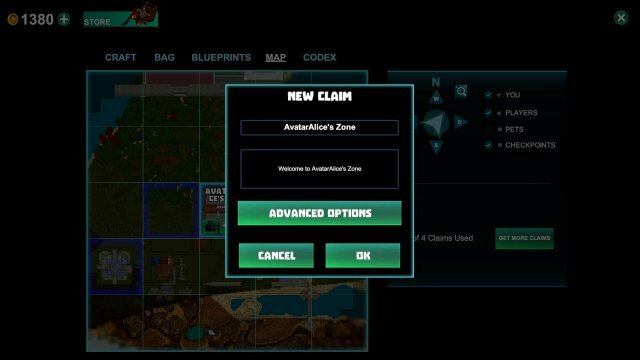 Note leave default claim permissions to visitor if you dont want everyone in the world to be able to say build in your claim. The last icon is the trash can icon, it allows you to unclaim your spot and the claim returns to you so you can move it to another spot without having to respend resources to get it back. Unclaiming and reclaming can reset all your permissions for chests, pets and such. Upon going into a world with Visitor only on you are unable to build, attack (the smash ability works for visitors) and claim land. But if you say put your claim on builders even that visitor can build on your claim. Even chests set to everyone allow a visitor to be able to peek inside and just take everything you put in there claimed land or not. Best solution is to make sure every chest and pet you own are builders permission and up. 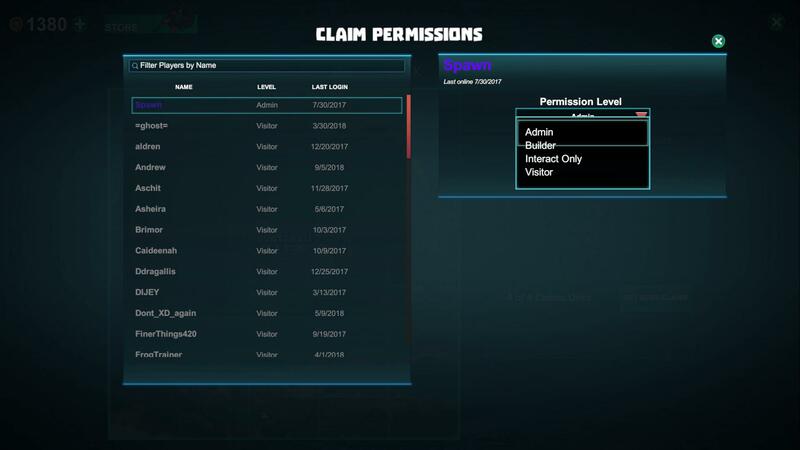 Claimed items that have permissions will be locked out from anyone but admins, owners and anyone given permission on that claim.